Out latest Website Design Carlow project is for Holligan Building Services based in Tullow, Co Carlow. 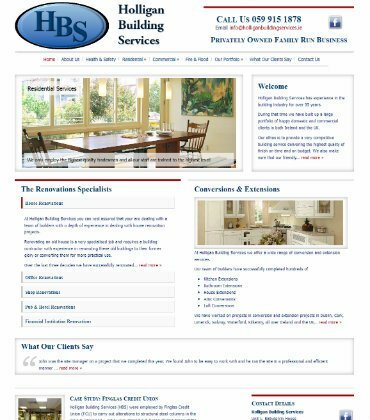 They are one of Ireland’s leading builders specialising in office renovations, shop renovations & house renovations and provide a nationwide service. Our brief from the client was to deliver a new Website Design and SEO which would provide Holligans with a search engine friendly Website Design that would rank well organically and generate leads and sales for Holligan Building Services.